Alaska has a lot to offer travelers of all types, from the rugged mountain man to the animal obsessed youngster. Stunning landscapes, adrenaline-pumping adventures, abundant wildlife, and fascinating cultural experiences await its visitors. But with so many unique activities to choose from, it can be hard to find balanced activities that everyone will enjoy. We’ve pulled together a list of some of our favorite family entertainments that will appeal to your teenager and toddler alike – and we’re sure you’ll have a great time, too! These all provide fun and educational experiences designed to bring you and your children closer to nature. The Campbell Creek Science Center takes a very direct hands-on approach to outdoor education, so it’s the perfect place to kick off our list. As part of the U.S. Bureau of Land Management, the center is situated among acres of lush forest that offers its visitors countless creeks to explore, meadows to discover, and of course wildlife to observe. A variety of programs will take your family out into nature with an experienced guide, who will teach them not just about the great outdoors, but also skills such as lighting a fire with flint and steel, and the importance of ecological conservation. Their Fireside Chat series offers fascinating discourse on a variety of topics, ranging from Denali dinosaurs to the science of skiing on snow. 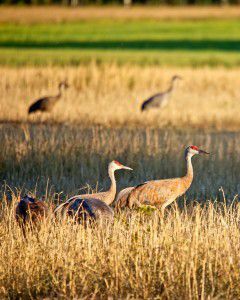 Boasting 5 miles of looping trail through boreal forest and vibrant wetlands, Creamer’s Field is one of the best – and most scenic – places to watch birds in their natural habitat. The refuge serves as nesting grounds for countless ducks, geese, and cranes, as well as the permanent home of beautiful snowy owls. It’s also not uncommon to encounter wild moose while hiking the trails! The trails themselves are exceptionally well maintained, and in addition to the gorgeous views and animal sightings, they offer plenty of interpretive signs along the path that educate you on the habitat, its mission, and the spectacular and unique wildlife that call Creamer’s Field home. Guided nature walks and organized educational events are also offered all year long. The history of the observatory is quite fascinating as well. Why is it called “Creamer’s Field” and why do so many birds migrate here for the nesting season? You’ll just have to visit and find out! According to their own website, this 3-hour riverboat tour just outside of Fairbanks has been voted the best boat tour in North America, and for good reason! Owned and operated by a family that has made riverboating Alaska’s majestic waterways a way of life for five generations, the Riverboat Discovery Tour is more than just a leisurely loll downstream. It’s an educational experience, and an adventure that will appeal to kids just as much as (if not more than) their parents! The first stop on your riverboat tour is the Chena Indian Village, an authentic settlement of the Athabascan people. Take a walking tour past spruce log cabins, hanging fur pelts, and sled dogs as your guide explains the history and culture of the Athabascan people, including their interactions with nature and how they’ve adapted to the modern world. Next, hop back aboard your riverboat and witness the spectacle of a genuine bush pilot demonstration. Seaplanes play a vital role in Alaskan life and watching a master pilot take off and land in the waters mere yards away from your boat is a thrill. Hopeful future-aviators can talk to the pilots and hear some truly amazing stories. The last stop is none other than the Susan Butcher Kennels, where families can meet the famous four-time Iditarod champ on her own land and see a live dog-mushing demonstration. If your kids love puppies (and what kids don’t love puppies?) or racing, or both, then they will be over the moon with the kennels. If seeing an Iditarod demonstration at the Susan Butcher Kennels isn’t enough, why not treat your kids to an even more up-close-and-personal Iditarod experience? 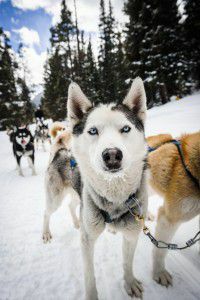 The “Ididaride” sled dog tours, located in Denali, offer a variety of packages from $34 per person for a 2 mile sled dog ride (plus, the opportunity to cuddle and play with husky puppies afterward). It’s a real hands-on experience that will appeal to every member of your family. Over the course of the 3-hour tour, your kids will hear stories and tales about what it’s like to live in remote parts of Alaska. A trail snack is provided, and your kids’ newfound appreciation for sled dogs and the people who drive them will create memories that last a lifetime. Go On Safari in Denali, Rugged Jeep and All! 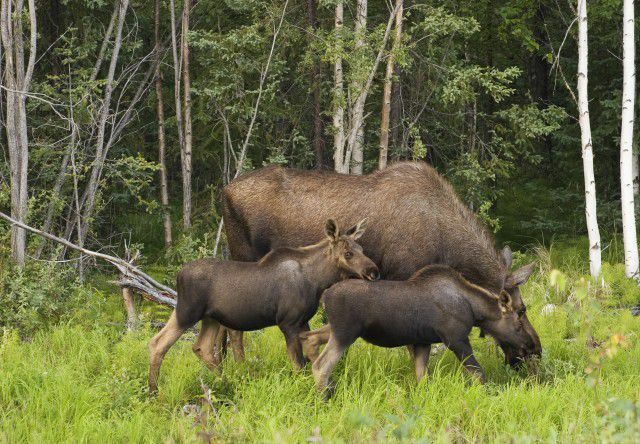 A “safari” may not be the first thing you think of when you think “Alaska.” Sure, there are African safaris and even safaris in Finland where you can spot reindeer in their natural habitat. But in our opinion, few safari destinations can match the grandeur and majestic scale of an off-road Denali Jeep backcountry safari with your family. Your kids will love the bumpy Jeep ride as you tread over rocks and across streams, making your way through woodland and meadow and mountain. And they will especially love the thrill that comes with spotting an enormous moose, a proud bald eagle, or a burly bear through a set of binoculars. For the parents: did we mention that these safaris, offered by Princess Lodges, let YOU take the wheel? You’ll follow your guide for a bumpy ride that is truly fun for the entire family. Your certified guide will communicate with you via two-way radio and will point out interesting sights and features on your drive, as well as illustrate some of the area’s history. The Denali safari lasts around 3.5 hours and makes its way to the Stampede Road, where your family will have the opportunity to get out and explore the tundra and enjoy a light snack before making your way back to civilization.